To supplement its continuing technical capability building and to strengthen the enforcement of standard shipment monitoring procedure under Regional Memorandum No. 2018-08 re: “Revised Procedural Guidelines in Shipment Verification / Monitoring of Minerals / Mineral Products and By-Products Including Tailings,”the Mines and Geosciences Bureau Regional Office No. 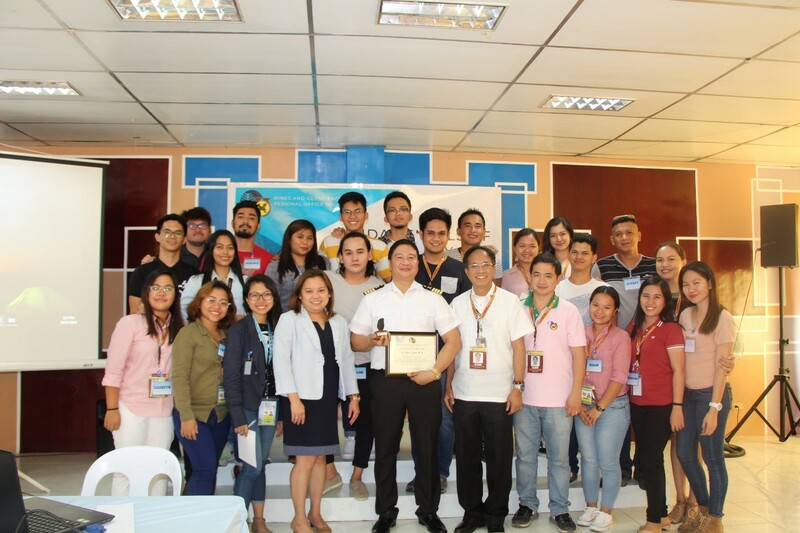 XIII conducted a Workshop on the Fundamentals of Draft Survey on January 23-24, 2019 at the MGB ROXIII Training Center in Surigao City. Attended by 25 technical personnel, the two-day workshop featured topics, namely Governing Concepts and Principles; Practical Guide to Reading Draft Marks; and Calculations and Corrections, with written and board exercises in between to stimulate utmost learning and participation. A written examination was also given to the participants at the end of the workshop. Capt. Nestor A. Almero, Master Mariner and Dean of the College of Maritime of St. Joseph Institute of Technology (SJIT), facilitated the workshop as the resource speaker. The workshop was made possible through active coordination with the Maritime Industry Authority (MARINA) Caraga Regional Director, Atty. Manuel C. Portus, and marked the beginning of a synergy between MGB RO No. XIII and SJIT. On January 31 of this year, Capt. Almero confirmed SJIT’s intention to include MGB ROXIII in its extension services. “[Through these extension services], we can render assistance to your Office’s personnel knowledge enhancement. Our personnel also may conduct modified basic safety training as per SOLAS [Safety of Life At Sea] Convention,” he elaborated further. Follow-up workshops on Maritime Laws and Bulk Ore Volume Calculation Using Microsoft Excel are currently in the works as of date and are targeted to be conducted later this year in partnership with SJIT.